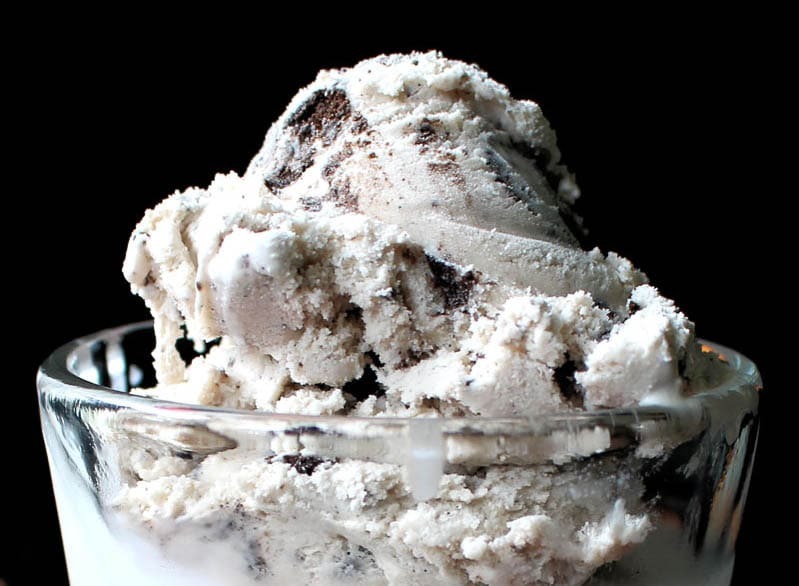 This homemade Oreo ice cream recipe makes a cookies and cream ice cream that tastes just like the one you remember from your childhood. It’s perfect! This is the cookies and cream ice cream I always dreamed of. When I was a kid, I loved cookies and cream ice cream. However, there was only one store that served the good stuff; their cookies and cream ice cream was chock full of cookies. It teetered on the edge of having as much cookies as ice cream, and that’s exactly how I liked it. That store closed, and no other cookies and cream ice cream ever measured up to that one. The ice cream would be insipidly flavored, or the cookies insufficient, or the flavor not quite right. I spent years searching for a new cookies and cream ice cream to replace that childhood perfection, until I gave up searching and quietly switched to ordering rocky road instead. While working on a Halloween recipe that happened to include a whole lot of Oreos on the side, I decided to take a stab at making cookies and cream ice cream for myself. I’d made many kinds of ice cream before, including vanilla, strawberry, and even chocolate peanut butter ice cream, but something had held me back from making cookies and cream. I think I couldn’t take the thought of being disappointed again. I shouldn’t have worried. This is my dream cookies and cream ice cream. It’s got plenty of cookies, and that perfect amount of saltiness from the cookies to make the flavor almost sophisticated, similar to what happens when you add salt to caramel. With only a handful of simple ingredients, you can whip this up in no time. Enjoy it fresh from the ice cream maker as a soft ice cream, or freeze it to make it firm. Either way, it’s delicious! 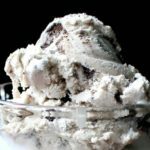 This homemade Oreo ice cream recipe makes a cookies and cream ice cream that tastes just like the one you remember from your childhood. It's perfect! In a mixing bowl, whisk together the milk, sugar, and salt until the sugar is dissolved. Cover the bowl and place it in the refrigerator for an hour or two, or overnight. Process the mixture in your ice cream maker. When the ice cream is ready, stir in the crushed Oreo cookies. Serve immediately as soft ice cream or freeze for firm ice cream. What a delicious idea to make up your own oreo ice cream recipe. I love it. Most certainly will be giving this a try soon! AHHH! I LOVE home made ice cream and cookies and cream is what I always get at the store. Time to give my ice cream maker a workout! Oreo ice cream? Yes, please! This sounds so delicious and I would love to try this recipe. This would be a fabulous treat for a birthday party of any day of the year! This ice cream looks simply delicious and I am going to have try it out. My daughter’s favorite flavor is cookies n cream so she would love if I made this . This ice cream looks delicious. I’d love to make that. I’m putting it on my weekend menu. My favorite ice cream flavor is actually cookies and cream! My kiddos would love it! Thanks for adding a fun weekend project to my list. You had me at ice cream! I would love to try this. Homemade ice cream is the best. Okay, this looks and sounds amazing. I have never made my own ice cream. Never even thought about it, until now. Oh my gosh I am a sucker for Oreos! 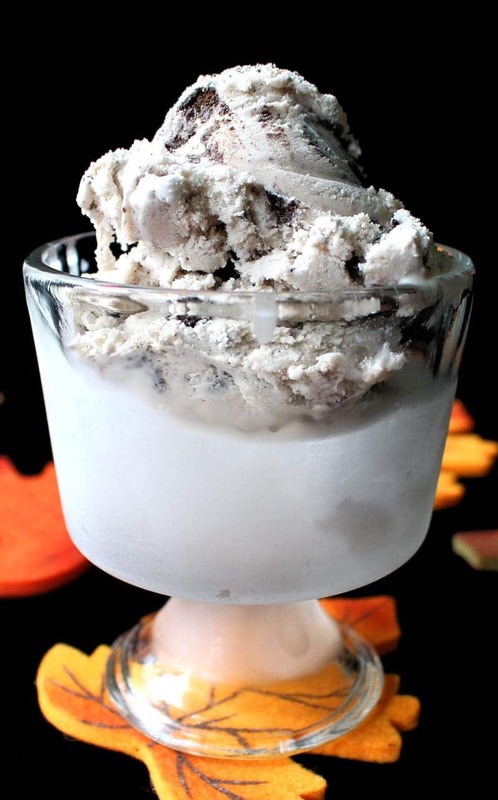 This homemade ice cream sounds and looks amazing! You had me at Oreo. Homemade is always better as you can make it as natural as you like. The picture looks amazing. Delicious recipe! My hubby is an oreo addict and he would love this recipe! Thanks! I made my own ice cream for the first time this summer. I was shocked how easy it was and how well it turned out. I would love to give this one a try too! Wow!!! I love Oreo and Ice cream. I would surely love this one as it looks so delicious. Yum sounds delicious. Will have to give this recipe a try. I haven’t made homemade ice cream in a really long time, I think its time to change that! Oh my gosh! This looks and sounds amazing!! We love ice cream in our house and we love oreos so this is perfect! Oh. My. Yum! This looks entirely too delicious! ive never made my own ice cream before, but now that i have a 3 year old, im always looking for fun “kid friendly” recipes we can make together. i LOVE cookies and cream. thanks for the idea!